Parishioners, please remember to send details for upcoming or recent events for the young to the web master so that this page keeps being updated. Go to the Upcoming Event Form page or to Recent Event Form page so you can find out how to email articles etc. PLEASE SPECIFY that articles etc are to be included on the Youth News page. There are no guarantees that all the photos will be used or that the description will be published in entirety or without alteration but the web master will discuss layout etc with you. 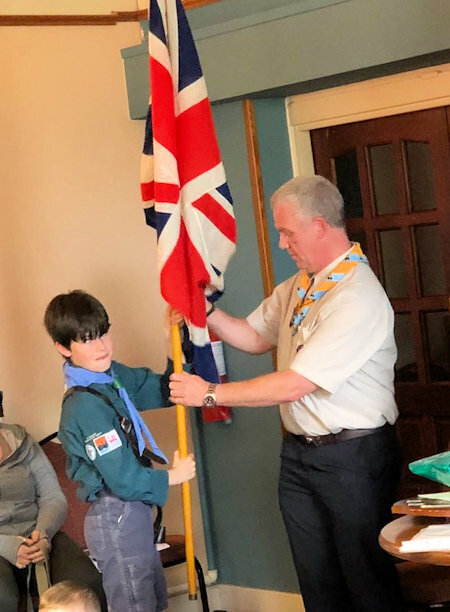 On Wednesday 6th February 2019 at St Paul’s Church, after the 7:30pm Mass, an investure ceremony was held for new Beavers. Also, some Cubs received their Silver Award badges. Silver awards are the highest that a Cub can receive so very well done! The ceremony was attended by a Cub leader and a Beaver leader. Fr John Southworth conducted the whole presentation. On Wednesday 17th October at St Paul’s Church, after the 7:30pm Mass, an investure ceremony was held for new beavers. 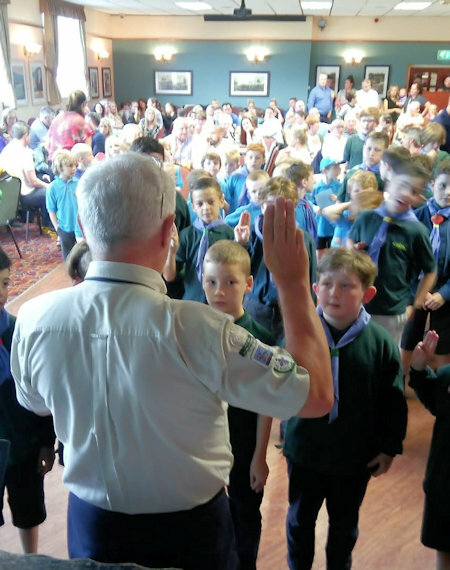 Also, some older boys from Cubs and Scouts received their Bronze and Silver Award badges. Beavers, parents, leaders and friends in 19th Fairfield Scout Group of St Paul’s supported the recent appeal by Operation Christmas Child 2018 for shoe boxes and raised £140 for the postage. For some pictures of children receiving shoeboxes, have a look at the website for Operation Christmas Child 2015 | Fusion Church. The images may be subject to copyright. A description for Animate is included on the Youth page of this website. This selection of events is taken from the Animate website. Join us at St. Mary's, Lowe House in St Helens for the two hour meetings on January 8th, 15th and 22nd. Life & Soul+ is a monthly event taking place in parishes across the Archdiocese. Starting at 7pm, the Animate Team will lead an hour of prayer and praise before the Blessed Sacrament. The hour will consist of modern worship songs, tradition hymns and simple chants for all to join in with, or just simply listen to. The event is open for all who wish to spend some time before the Blessed Sacrament in prayer and song. These have restarted after the summer - go to the Animate website for details. There is a special Youth Congress as part of the Adoremus Programme in Liverpool in September. Please see details on the Archdiocese website if you are interested in going. 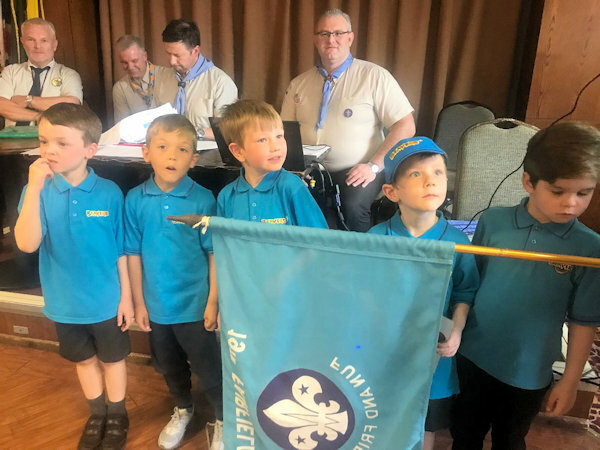 The AGM & Youth Achievements Evening for this Scout Group, followed by Bingo and Raffle, was held at St Paul’s Parish Club on Friday, 15th June. The 2018 AGM followed with reports and slide shows from each group highlighting the many activities and celebrations that have taken place in the last 12 months. Many aspects of a Scout Member's journey were covered. There were individual awards presented on the night. 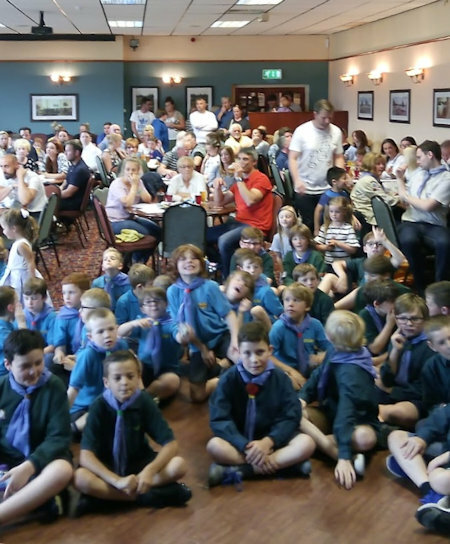 In addition many Beavers, Cubs and Scouts received Badges for successful Challenges this year. Thank you to all our Volunteers within each Group - without you these weekly activities would not be possible. 19th Fairfield St.Paul's Beavers earned their Gardening Badge at St.Timothy's. The boys were welcomed at St.Timothy's by Brother David on Thursday 19th April 2018. They helped plant a bit of colour back into the flower bed to the left of the church, planted their own seeds to grow at home and enjoyed a tour around the fabulous tree creations in the garden. On 26th April 2018 they returned to St. Timothy's where they experienced an evening with a parishioner who is our local Bee Keeper and who gave a wonderful presentation and brought along a Bee Observation Unit and Junior Bee Keeper suits. Well done to our Beavers!